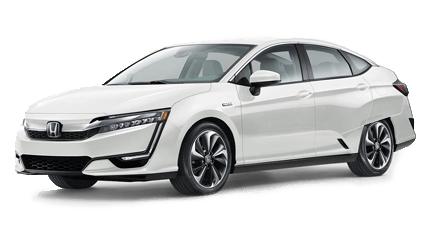 Whether you're plugging in or gassing up, the new 2019 Honda Clarity Plug-in will oblige. Chicago, IL drivers are obsessed with the new 2019 Honda Clarity Plug-in because it offers seating for five, the option for you to use solely electric power, and a long-lasting high-voltage battery. If you're looking for Honda hybrids in Highland Park, IL, this one will catch your eye first. The new Clarity Plug-in offers an available 340-mile combined range rating, a 47-mile all-electric range rating, and a possible federal tax credit up to $7,500. Are you ready to enjoy this updated Honda sedan? Schedule a test drive online now! Between its sleek body lines and aerodynamic styling, the new 2019 Honda Clarity Plug-In is always ready for those make or break moments. From the LED Daytime Running Lights to the elongated wheelbase, the new Clarity Plug-in is always in the mood to take you places. The Clarity Plug-in is designed to streamline airflow from the top. If you're looking to spruce up the already stylish exterior with body side molding and an 18" accessory alloy wheel, check out our available parts an accessories. Drivers near Chicago, IL can take advantage of this Honda sedan's aerodynamic shape and decklid spoiler, which presents an actionable presence on the highway. The new interior of the updated 2019 Honda Clarity Plug-in offers no compromises. Drivers get everything they need in this multi-talented vehicle, including seats covered in biofabrics and Ultrasuede, an available power-adjustable driver's seat, and a full digital Driver Information Interface. If you find yourself looking for a more high-end feel, you can opt for available leather-trimmed seats! Top it all off with convenient steering wheel controls and a simple Push to Start button, and you've got the perfect new Honda Clarity in Highland Park, ILs! The new 2019 Honda Clarity Plug-in offers a range of protective technologies, including four different safety systems. The driver-assistive technologies inside the new Clarity Plug-In range from the Collision Mitigation Braking System to the Adaptive Cruise Control feature. These systems mitigate collisions by using a host of active alerts and cameras to detect danger from all angles. We encourage drivers to contact us to learn more about our new Honda cars for sale in Highland Park, Illinois.